As I take the reins of Emmolo (m – oh – low) Winery from my mother Cheryl Emmolo, I know how lucky I am to be born and raised in the glorious Rutherford district of the Napa Valley. My family has a long-standing history in Napa Valley beginning with my great-grandfather, Italian immigrant, Salvatore Emmolo, who planted grapevines and started a grapevine rootstock nursery in Rutherford in the 1920's. He grew and sold phylloxera resistant vines – the same "resistant" vines that saved the wine industry from the devastating vinifera louse of the late 19th century. 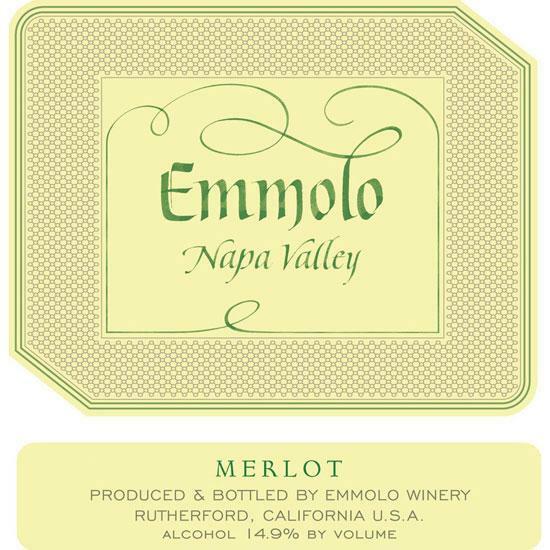 His son, and my grandfather, Frank Emmolo, ran Emmolo Nursery and built a strong following amongst Napa Valley grapegrowers - becoming the leading supplier to Napa Valley vintners for five decades. After becoming established grape growers, my ancestors opened up Palermo Winery in 1934, named after the city from which they immigrated. The winery operated for less than a decade, closing due to the public's lack of interest in wine. As things worked out, my family sustained the land over the years and tossed their hat into the ring again, with my mother establishing the building as Emmolo Winery. Today, I'm honored to continue on the family legacy of farming vines and making Emmolo wine here in the original winery my great-grandfather built in 1934.